Veteran publicist, film historian and journalist Anandan, popularly known as Film News Anandan, passed away in Chennai today. He is popularly known as the “walking encyclopedia” of Tamil cinema. The whole industry is shocked with his demise and is expressing deep condolence. 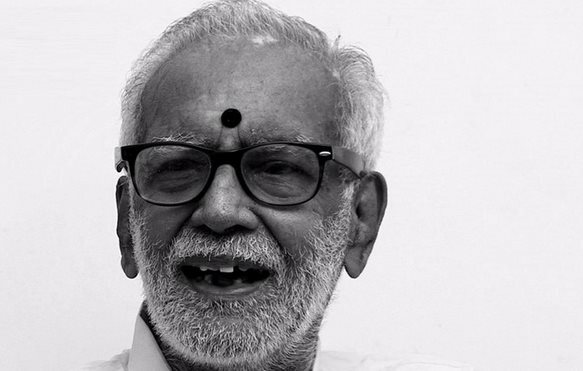 Anandan was born as Mani in 1928. His father P K Gnanasagaram was a government servant. When he was a college student, he had a chance to interact with the drama troupes of Y. G. Parthasarathy and M G Ramachandran among others. He used to write the dialogues, do stage management and help in small odd jobs. Anandan worked as a news reporter for Film Chamber and his job was to collect details about the actors, producer, director of a film. Devarajan of the magazine Film News once asked Anandan to take pictures for his magazine. When the pictures were published, credit in the magazine was given as “Film News Anandan” and eventually the pen name got prefixed to his name. Anandan received Y. Venkanna Clowdary’s “Kala Peedam” award for his tremendous contribution to Human Progress as a Film Historian. In 1991, the Tamil Nadu State Government awarded him with their highest honour in the title of Kalaimaamani. In 1989, Anandan was honoured as a veteran during the Golden Jubilee of the Film Chamber.